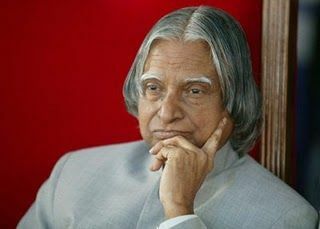 Born: Octomber 15, 1931, Tamil Nadu, India, usually referred as Dr. A. P. J. Abdul Kalam, was the eleventh President of India, serving from 2002 to 2007. 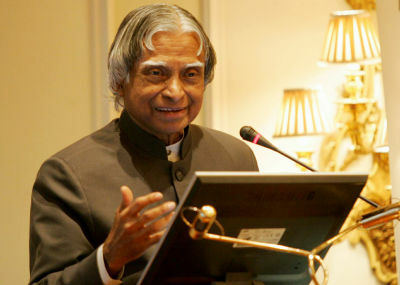 A notable scientist and engineer, he is often referred to as the Missile Man of India for his work and is considered a progressive mentor, innovator and visionary in India. He is also popularly known as the People's President. His term as president ended on July 25, 2007. 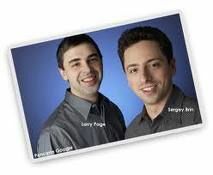 The Google web search engine is the company's most popular service.Google hosts and develops a number of Internet-based services and products.The company was founded by Larry Page and Sergey Brin, often dubbed the "Google Guys", while the two were attending Stanford University as Ph.D. candidates. It was first incorporated as a privately held company on September 4, 1998, and its initial public offering followed on August 19, 2004. Google runs over one million servers in data centers around the world, and processes over one billion search requests and twenty petabytes of user-generated data every day. Google's rapid growth since its incorporation has triggered a chain of products, acquisitions and partnerships beyond the company's core search engine. The company offers online productivity software, such as its Gmail e-mail software, and social networking tools, including Orkut and, more recently, Google Buzz. Google's products extend to the desktop as well, with applications such as the web browser Google Chrome, the Picasa photo organization and editing software, and the Google Talk instant messaging application. Microsoft Corporation is a public multinational corporation headquartered in Redmond, Washington, USA that develops, manufactures, licenses, and supports a wide range of products and services predominantly related to computing through its various product divisions. Established on April 4, 1975 to develop and sell BASIC interpreters for the Altair 8800, Microsoft rose to dominate the home computer operating system (OS) market with MS-DOS in the mid-1980s, followed by the Microsoft Windows line of OSs. 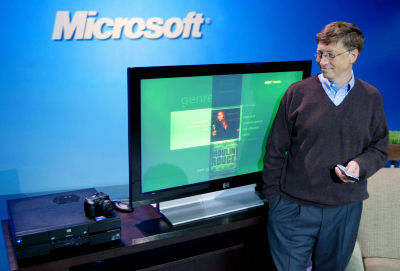 Paul Allen and Bill Gates, childhood friends with a passion in computer programming, were seeking to make a successful business utilizing their shared skills. The January 1975 issue of Popular Electronics featured Micro Instrumentation and Telemetry Systems's (MITS) Altair 8800 microcomputer. Youngest CEO Of The World !!! 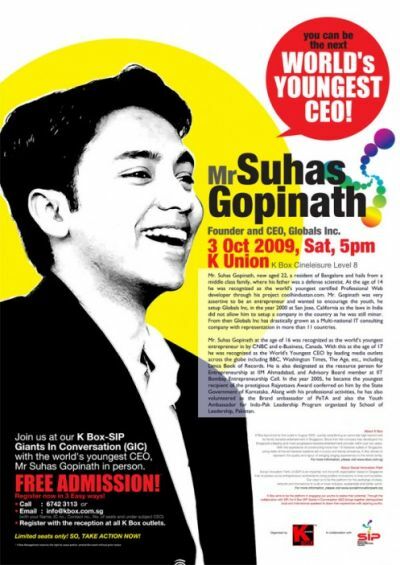 Mr. Suhas Gopinath, now aged 20, a resident of Bangalore had a passion for information. A passion so energetic, that it drove Suhas to setup a multi national company christened Globals Incorporated. He hails from a middle class family, where his father Mr. M R Gopinath was a defence scientist. 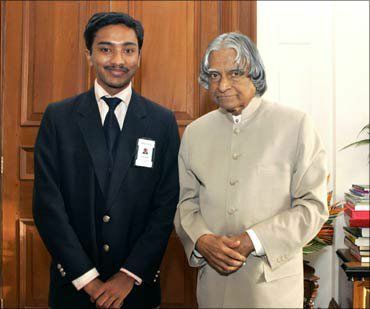 At the age of 14 he was recognized as the world's youngest web-developer through his project coolhindustan.com. A fortune 500 company, being amazed at the talent, offered him a job which included a $2000 paycheck per week, a chauffer driven car and an executive apartment.